This article appears in the Autumn 2015 issue of the European edition of Streaming Media magazine, and in the July/August 2015 issue of the U.S. magazine. Since adding Chromecast to its list of supported devices in 2013, U.S.-based Hulu has been working to extend support for MPEG-DASH inside its various players without disrupting existing format support. The secret of this painless migration is the engineering of DASH-compliant video segments that are also backwards compatible with Smooth Streaming players. As of now, more than 75% of Hulu’s traffic is served through the new segments format, and the migration continues without increasing the deployed files inventory. This is an unusual move in the industry, the kind of technology strategy that provides an ideal lesson for other publishers looking to make the move to DASH. In this exclusive interview, Baptiste Coudurier, Hulu’s principal software development lead and architect of this format migration, shares his insights on Hulu’s incremental approach for leveraging DASH and how it has benefited the OTT service and its customers. And while Hulu isn't available outside of the U.S., the lessons to be learned from its move to DASH are applicable to any OTT service in the world. Hulu has one of the biggest audiences for OTT video after giants such as Netflix and YouTube. Hulu started in 2007 and established a successful business publishing movies and programs from American broadcasters such as NBC, ABC, and Fox on the web the day after they air. The service launched its subscription tier, Hulu Plus, in 2010. Hulu Plus offers a lighter ad load than the free version, is available on living room and mobile devices, and has more content. Hulu has also developed an authentication integration program with cable operators in which Adobe Pass bridges the customer’s cable ID with his or her Hulu ID. This unlocks more content on Hulu, as well as early availability windows for specific content. This creates additional complexity in access management, but some rules never vary: Geolocation is ensured for the U.S. territory and military bases only, and 100% of the content is secured through DRM. Hulu’s competitors are services such as Netflix, Amazon Prime Video, and more recently HBO Now. Hulu’s key advantage is that it has recent episodes of current TV. Hulu is successful because of its reach—it currently has 9 million subscribers and is available on multiple devices. Combine the reach and the publication speed with the volume of programs and you’ll get a sense of why it’s crucial for Hulu to simplify and optimize content preparation workflows to an extreme degree. 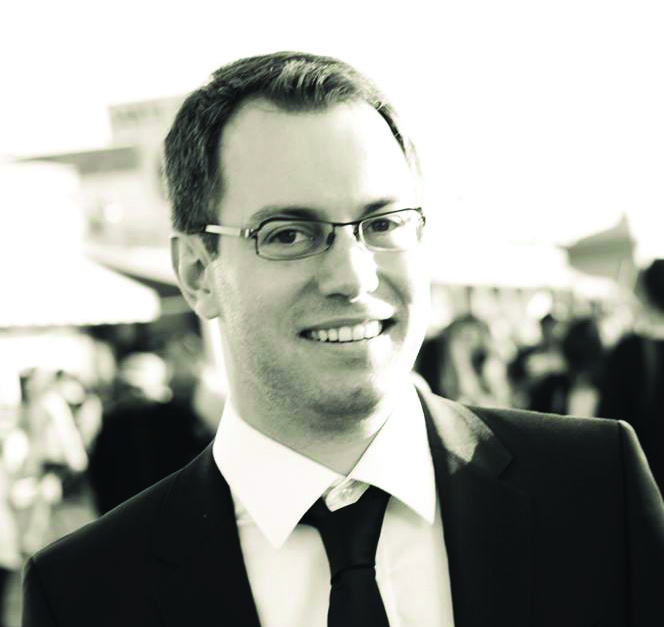 Before working for Hulu, Baptiste Coudurier was already one of the major contributors to the FFmpeg codebase, a sharp expert in broadcast codecs and workflows. When he was a student at EPITA (a well-known French engineering university), he started walking through the MP4 maze and acquired the knowledge that proved useful to work for SmartJog and finally Hulu. When you encounter him today, you can still feel the same curiosity level that his biography suggests, and it’s no surprise that his real job is to push the limits of technology. The impetus behind his current quest can be found in the early days of the multiscreen Hulu. At this time, the industry started to emphasize the need for strong protection of high-value content, mandating the use of DRM on all platforms wherever it was possible. So Coudurier and his team had to implement DRM or media encryption in record time on all the platforms, an effort that he summarizes by saying: “We decided to do everything, as it was impossible to find a common platform for all of our devices. “For the desktop, the refactoring of the player in Silverlight to support Smooth Streaming and PlayReady DRM was too much effort,” he says. “Our fastest path was to stay in Flash and use Access DRM. On Android we didn’t have much choice so we implemented the Widevine Classic format. On Windows Phone, we had to use Smooth Streaming and PlayReady, which we extended soon after to Wii U and other devices.” With HLS still in AES, the output format scope had widened to four different packaging of H.264/AAC files, all incompatible with each other. That meant four times the storage space and CDN footprint, and still a lot of workflow challenges and troubleshooting for Hulu’s video experts to handle. Featured Articles: HbbTV 2.0: Could This Standard Become the Future of Television?